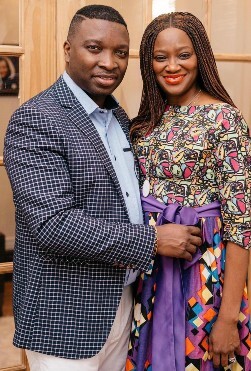 We believe God has called an army of people all over the world to join hands with us in fulfilling this awesome mandate of raising a supernatural army. 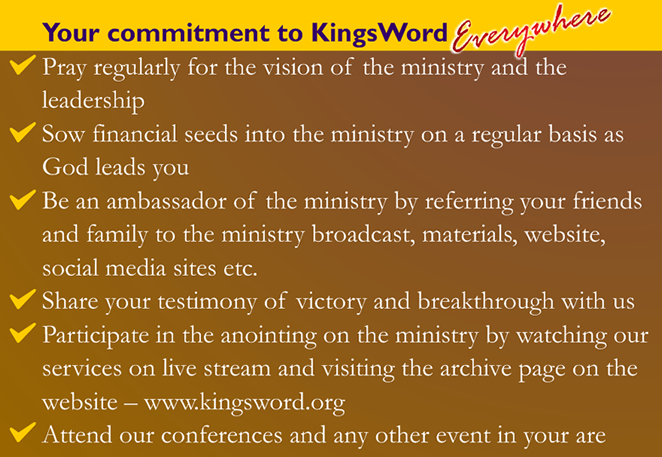 Your partnership with us through prayers and giving qualify you as a member of KingsWord Everywhere Club. You can partner with us as we go to the nations to plant churches, organize crusades and conferences, distribute books and broadcast our weekly program in different nations. We want you to prayerfully consider your involvement in this great assignment. 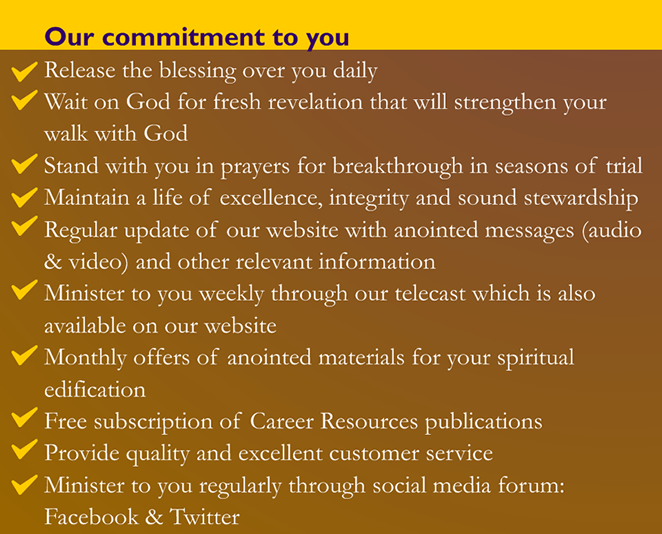 Why Sow Into KingsWord Ministries International? For more information on partnership, click here. Put God to Test Now! What an opportunity we have to work together for the kingdom of God during these exciting days! Together, with your generous seed-gifts, we can reach the world for the Savior during our generation. I believe God is calling you to be part of this great work as we take the gospel to all the continents of the world in form of crusades, believers' conventions, campmeetings, church planting projects and by supporting other laborers on the field.